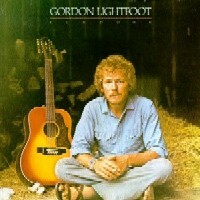 Read about Audiophile Gordon Lightfoot Sundown. An extraordinary album, yet no one has reviewed it yet? And, down there at 12-13000 in sales ranking at Amazon? Why is everyone missing this wonderful album? Perhaps because no one has reviewed it yet? So I will put pen to paper (rather fingers to keyboard) and fix that today. Sundown, originally released in 1974, was Lightfoot's most successful album on the billboard charts. It went to number 1, in the US and Canada simultaneously, and the single of the title song topped both charts at the same time too. A second song from the album, Carefree Highway, also charted well, reaching number 10 late that year. Then why aren't people buying this album? Is it because both of these songs (as well as a third song, Circle Of Steel) are on Gord's Gold too? Well, if that is the reason, people are missing a lot of excellent music. The two hit songs are not the only great songs on the album; in fact, many Lightfoot fans would argue that they are not the best songs on the album. Probably more so than almost any other album, every song here is a classic, full of beautiful lyrics, haunting melodies, inventive guitar playing and arrangements, and exquisite vocals. (Of course to fully appreciate the guitar, you will have to look for the MFSL half-speed mastered album, on vinyl and out of print, but this CD will make a fine substitute and plays better in your car). Most of the songs are personal songs, but interspersed are songs of the sea, wandering and social commentary, also familiar Lightfoot themes. My favorite songs, from the "other seven" are Somewhere USA, High And Dry (which is also on Gord's Gold Volume 2), Seven Island Suite, The Watchman's Gone (which, in addition to the two hits, he still performs in concert today) and The List. If you do have Gord's Gold, you are still getting seven additional Lightfoot treasures, plus the haunting "whole" that he achieves with all of his albums, rather than - as is so common - simply a collection of songs. Altogether this disk is a 10; well, in the rating system at Amazon (1 to 5), a 5. Enjoy!